Garcinia Forte is a weight loss supplement marketed by Valuemarket Ltd. According to the official website the company is based at an industrial estate in Lancashire, England, but the site also provides an address in Singapore as well as customer service contact telephone numbers in several countries including Hong Kong, India, and South Africa. So it is hard to say with any degree of certainty where the company’s real headquarters may be. It is equally hard to say if Valuemarket actually manufacture the product or just market it. In fact, very little is known about the company at all. Garcinia Extra is arguably one of the most effective natural weight loss ingredients ever discovered. There are dozens of brands on the open market all with varying degrees od success and validity. What is Garcinia Forte and how does it Work? Garcinia Forte is produced in capsule form and, as the name suggests, the formulation is designed to harness the incredible weight loss abilities of garcinia cambogia. Unfortunately, the Garcinia Forte website fails to provide any indication of how much garcinia cambogia each capsule contains. If the quantity is insufficient results will not be forthcoming and there is also some indication the blend might contain other ingredients. If there are other ingredients present, what are they and how much is used? These are important consideration because the addition of other ingredients will dilute garcinia cambogia’s power, and many ingredients present the possibility of side effects; so the lack of sufficient information presents genuine cause for concern. It’s impossible to say what benefits use of the capsules may provide because Valuemarket provides insufficient information for effective speculation, but garcinia cambogia is known to be a very powerful weight loss provider. 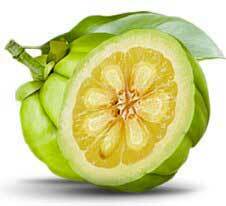 Garcinia cambogia is an Asian fruit that contains high levels of hydroxycitric acid (HCA). HCA is renowned for its ability to prevent the liver from converting excess carbohydrates (from food) into fat. HCA can also boost serotonin levels. This causes the user to experience a feeling of euphoria that can result in a diminished desire for food (appetite suppression). 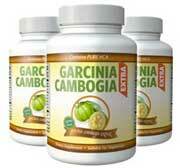 The weight loss-enhancing abilities of garcinia cambogia have been the subject of numerous tests. In one 12-week study, later published in Physiology and Behaviour, volunteers who received daily doses of garcinia cambogia attained significantly better weight loss results than the placebo group. The Garcinia Forte website contains many claims that could be seen to indicate the Valuemarket are either ignorant about the qualities of garcinia cambogia or are deliberately trying to mislead customers. The Garcinia Forte website contains three glowing testimonials that are attributed to satisfied customers, but no independent feedback could be found. Garcinia cambogia is unlikely to cause side effects, but the capsules may contain other ingredients, so it is impossible to predict the range and level of negative reactions capsule users may experience. 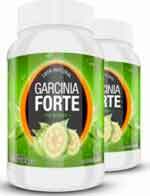 Garcinia Forte can only be purchased from the official website. A single bottle contains 60 capsules and costs €39 (£ and $ are also valid currencies. Taking advantage of bulk buying options can secure a slightly better deal, but many superior garcinia cambogia blends can purchased for a similar price, or less, from alternative suppliers. Garcinia Extra is the brand that we recommend, it is a legitimate formula that contains the correct dosage of Garcinia with the added benefit or containing Raspberry Ketone. These two natural ingredients compliment each other – as a brand Garcinia Extra is one of the best selling in many countries including the UK and Ireland, United States, Canada, Australia and many European countries.